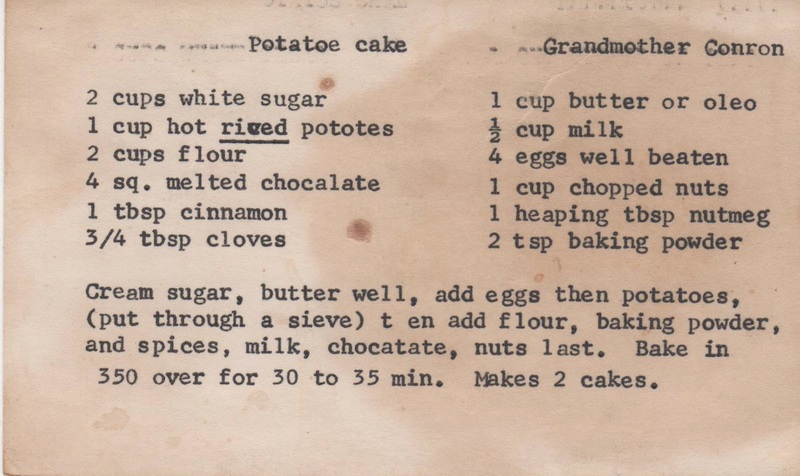 Vintage 100+ year old recipe from my Great Grandmother! I remember my mother baking it many times for us when we were kids, and a recipe card I have from my mother says "Grandmother Conron" who is my grandfather's mother, Sarah Conron (McGee) ... It hails from Ireland and has distinct Irish roots in my family. 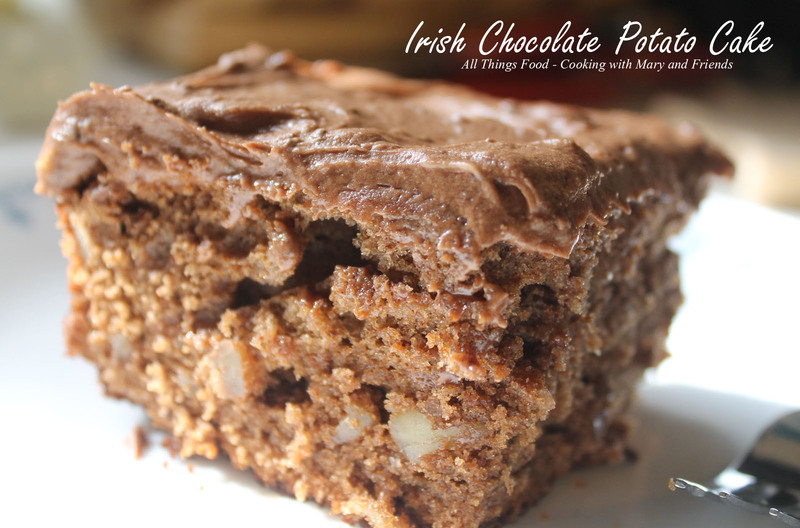 I can't even remember how many times I've made this cake, but I can tell you we have it every year around St. Patrick's Day. 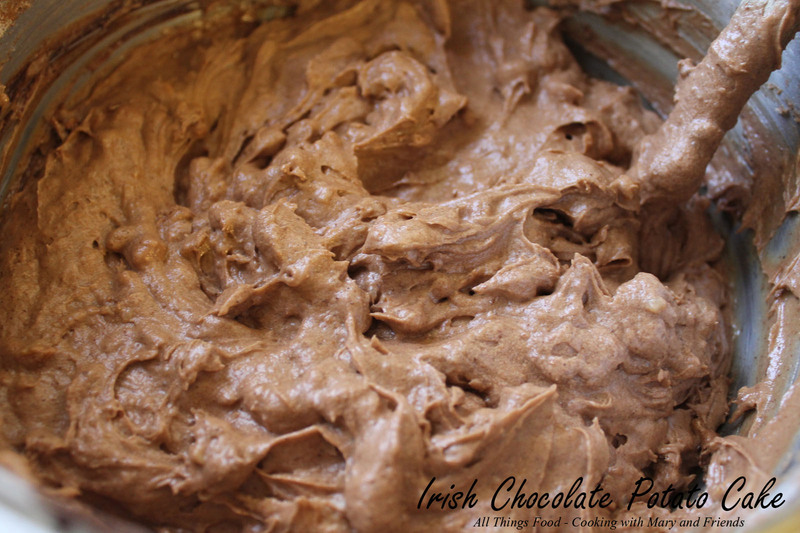 I love it since I grew up with it; it's like a chocolate spice cake, soft, moist and tender. The riced potatoes really add the fluffiness to it and the spices are amazing with the chocolate. If you think you are misreading, you aren't; yes that is a tablespoon of cinnamon, 3/4 of a tablespoon of cloves and a tablespoon of nutmeg. In a large mixer, cream butter and sugar together until fluffy. Add eggs and beat well. 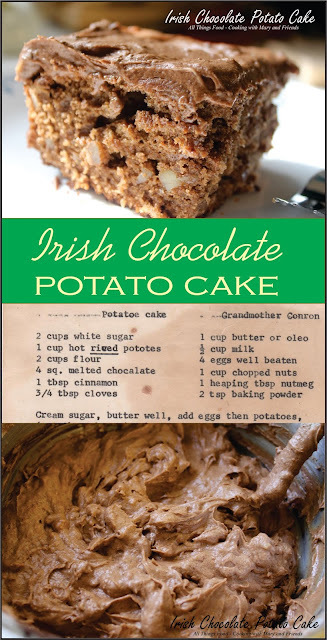 Add hot, riced potatoes (if you don't have a ricer, push potatoes through a colander or sieve), then add flour, baking powder, spices, milk, and melted chocolate beating well. Stir in chopped nuts. Batter should look light and fluffy. Bundt pan approx. 45-50 minutes or until a toothpick inserted in middle comes out clean. Note - This is a very rich cake best not layered. If layered, serve small pieces as a little bit will go a long way. Microwave chocolate in large microwaveable bowl on high 1-1/2 min., stirring every 30 sec. Stir until chocolate is completely melted. Cool 5 minutes. Add sugar, butter and vanilla. Gradually add milk, beating constantly with mixer on low speed until well blended. top and sides of 13 x 9-inch cake, tops of 3 (8- or 9-inch) cake layers or 24 cupcakes.